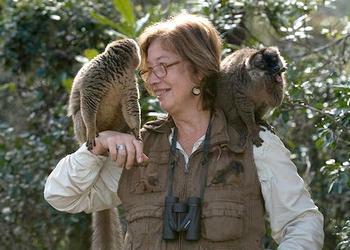 INDIANAPOLIS, Indiana, May 13, 2014 (ENS) – American scientist Patricia Chappelle Wright is an expert on the lemurs of Madagascar, an island nation off Africa’s east coast inhabited by 103 species and subspecies of lemurs, all found nowhere else on Earth. A primatologist, anthropologist, and conservationist, Dr. Wright has worked for many years on scientific observation and conservation of Madagascar’s lemurs, the world’s most threatened mammal group. Today was her day for recognition and reward. To add to her delight, Wright found out only this morning that she has been made a Distinguished Professor of anthropology at Stony Brook University, where she is the executive director of the Institute for the Conservation of Tropical Environments. Wright is also director of the Centre ValBio Research Campus in Madagascar. “I’ve worked for 30 years and suddenly everything is coming together for me,” she told reporters on a conference call today. In 1986, just a year out of graduate school, Wright traveled to Madagascar in search of the Greater Bamboo Lemur, a once abundant species believed to have been extinct for decades. 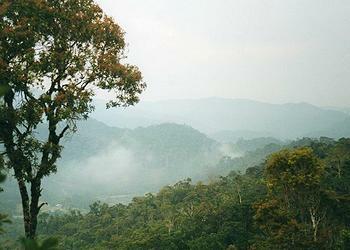 Wright and her team focused the search on the forests of Ranomafana in the southeastern part of Madagascar because of their extensive stands of giant bamboo. 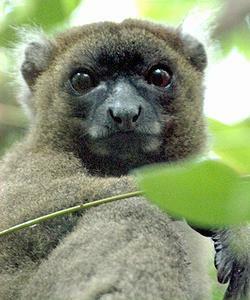 They did find the Greater Bamboo Lemur, Prolemur simus, and also a species new to science, now named the Golden Bamboo Lemur, Hapalemur aureus. These discoveries gave Wright some political capital in Madagascar, which she leveraged to help establish Ranomafana National Park in 1991. The park is now a UNESCO World Heritage Site, and 18 other parks have been established in her wake. Today, Wright partners with Malagasy villagers to develop solutions that are both environmentally and economically sustainable. She empowers villagers as stakeholders for Madagascar’s forest and its lemurs. In a country where more than 75 percent of the population lives on less than $1.25 a day, ecotourism brings economic empowerment and self-sufficiency, a conservation model that can be effective throughout the world. Wright’s work and personal story is featured in the IMAX and Warner Bros. 2014 documentary “Island of Lemurs: Madagascar.” Narrated by Morgan Freeman, the film seeks to inspire viewers to conserve lemurs, animals which have been around since the time of the dinosaurs. Wright intends to use some of her winnings from the 2014 Indianapolis Prize to provide electricity to the small villages around Ranomafana. “I want to help light up their lives,” she said. She also plans to fund the protection of an unprotected forest just north of Ranomafana, inhabited by another as yet undescribed new species of rare lemur, threatened by gold mining in the area. “The village came to me and asked for help with this,” Wright told reporters on the call. “Outside gold miners are starting to enter the area and pan for gold in the streams, causing disruption to the stream lines. And they are hunting lemurs for food. The villagers don’t eat the lemurs,” she said. 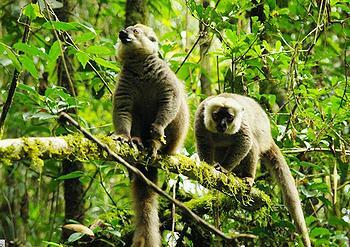 Wright’s 16-year-old daughter, on a trip with her to Madagascar, observed a playful older brother-younger sister lemur pair enjoying games of hide and seek and tag. One day the brother went out to seek a young female to start family, Wright recounted. “The sister stood there calling a lost call, ‘come back and play with me.’ On the second day, when she realized her brother wasn’t coming back, this lemur came down close to my daughter started doing a play face. She came and touched my daughter. She knew my girl was more likely to play with her than the rest. My daughter couldn’t resist playing with lemur,” laughed Wright. 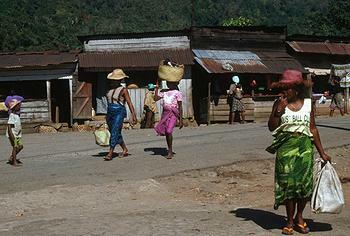 In Madagascar, Wright founded and serves as executive director for the Institute for the Conservation of Tropical Environments and Centre ValBio. She was awarded a John D. and Catherine T. MacArthur Foundation Fellowship in 1989, and was honored by the government of Madagascar with the National Medal of Honor in 1995, the Medaille Officier in 2003 and the Commandeur medal in 2012. “Without accomodating human needs we’re not going to see humans supporting sustainability,” Crowther said. The Indianapolis Prize was first awarded in 2006 to George Archibald, PhD, the co-founder of the International Crane Foundation. The 2008 winner was George Schaller, PhD, senior conservationist for the Wildlife Conservation Society and an icon in field conservation around the world. In 2010, the Indianapolis Prize was awarded to Iain Douglas-Hamilton, PhD, founder of Save the Elephants, who pioneered research in elephant social behavior and has led the way in fighting poaching of African elephants. Steven Amstrup, PhD, of Polar Bears International, received the 2012 Indianapolis Prize for his field work and research that led the United States to declare polar bears as threatened under the U.S. Endangered Species Act.